Joyce Ann (Williams) Lacey entered into eternal life Saturday, April 22, 2017, at her home, in Urbandale, IA, surrounded by her family. Memorial gathering will be held from 10:00 a.m. to 11:00 a.m., Friday, April 28, 2017, at Anderson Funeral Homes, 405 W. Main St., Marshalltown. Graveside services will follow at Rose Hill Memorial Gardens in Marshalltown. A memorial has been established in her name. Joyce was born on July 26, 1931, to Everett and Edna (Jenkins) Williams in Sidney, IA. Along with her family she moved to Marshalltown in 1944 and graduated in 1949. She married Richard K. Lacey, March 31, 1951, and they stayed true to each other for 61 years. Joyce worked for Dr. Southwick for a time and traveled with her husband for a few years while he was in the service. She later worked for Marshalltown Instruments until retirement. 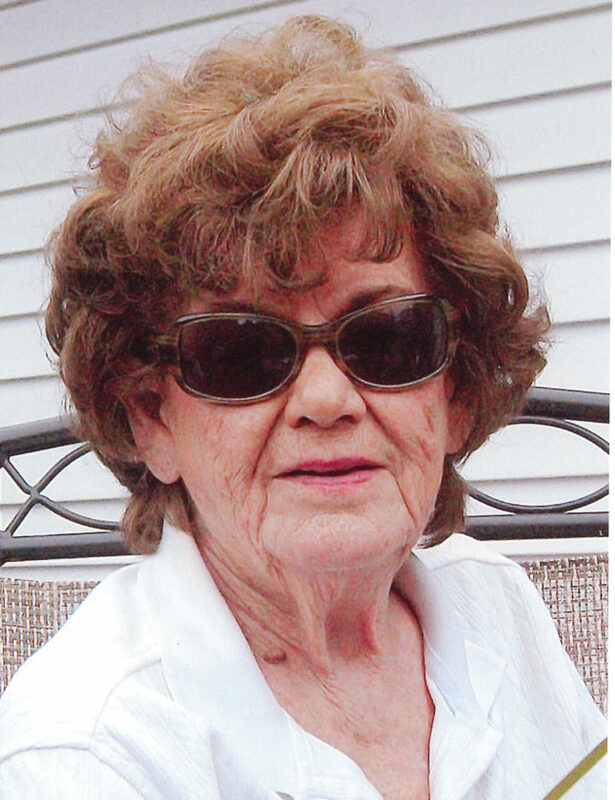 Joyce enjoyed her “happy hour” every day at 5 p.m. She also enjoyed bird watching, spending time with friends and family, especially at Pine Lake cabin. She was an avid fan of the Chicago Cubs, and the Iowa Hawkeyes and loved listening to her music, especially Frank Sinatra. She will be missed by her two sets of twin children: Larry Lacey, of Le Grand, and Garry Lacey, of Marshalltown, Mark Lacey, of Urbandale, and Margie Witt, of Urbandale; her grandchildren: Amy Wyatt (Jay), Kenneth Lacey (Stephanie), Jennifer Weatherman (Brad), Dustin Lacey, Jeff Lindsey (Renae), Katherine Johanns (Anthony); her 14 great grandchildren and 1 great great grandchild with 2 more on the way; her brother Ted Williams (Merideth) and her beloved dog, Nick. She joins eternal life with her husband Richard; her parents and grandparents, great granddaughter Kaitlyn Weatherman; her sister Marge Brasch and brother’s Richard, Frank, Jack Williams.